Sorry for the delay, I’ve been quite sick. So awhile back I promised a full post about the raspberry fools I was going to make. They’re basically these delicious raspberry and whipped cream things. I ended up making the PG version so I could spotlight it on my Children’s magazine blog AdventureGirl. 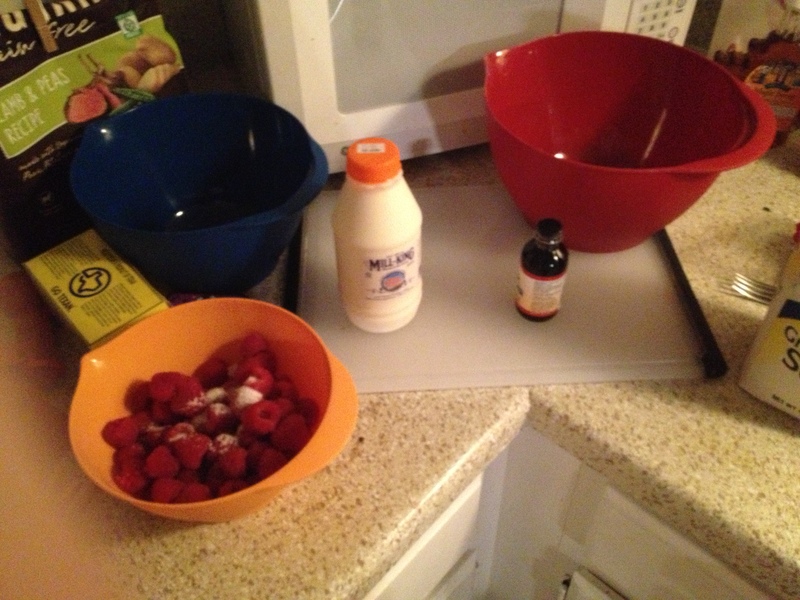 What you do is you put raspberries, sugar to taste, and vanilla in a bowl and mash with a fork. This is also where, is you’re making the PG version, you add a splash of cream sherry. You then want to add a little sugar and vanilla and again, cream sherry if you’re making it alcoholic to you whipping cream. Very important, just a quarter teaspoon of both or else the cream won’t stabilise—this si not a dish that’s ever gonna make you really drunk, it’s mostly about the taste of the liquor. You now whip the cream till it forms stiff peaks. Don’t over whip, I made a vanilla butter disaster I didn’t photograph the second time I tried to make these because what do you get when you whip cream beyond the point it’s whipped cream? —Butter. 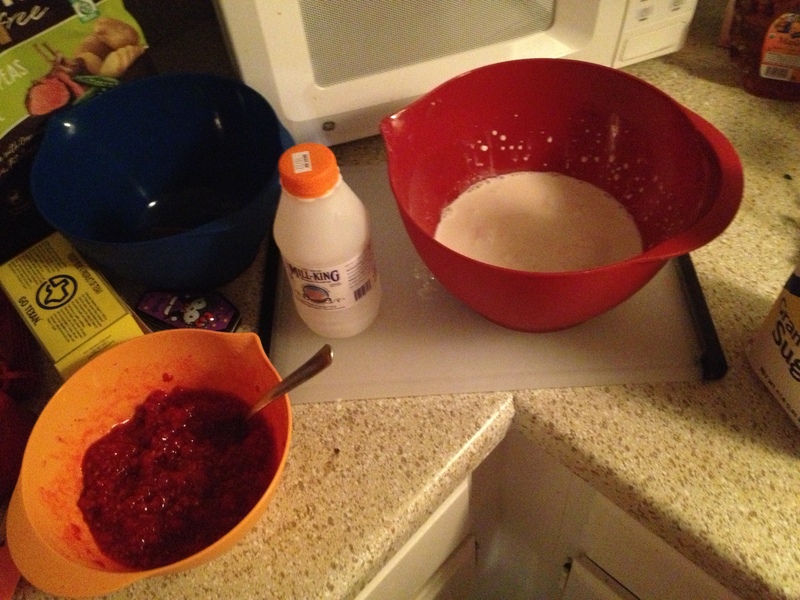 Then you want to fold the raspberries into the whipped cream with a silicon spatula.